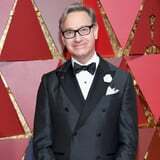 Paul Feig is one of the biggest directors in Hollywood, but long before directing films like Bridesmaids, Ghostbusters, and A Simple Favor, he was an actor on one of our favorite '90s TV shows. During the first season of Sabrina the Teenage Witch, Feig played Sabrina's dorky biology teacher, Mr. Eugene Pool. Even though his character was written out of the show after the first season, it was actually a silver lining for Feig, as he eventually turned to writing and directing instead. After wrapping Sabrina the Teenage Witch, Feig went on to create, direct, and write for the fan-favorite show, Freaks and Geeks in 1999. Even though the series only lasted for one season, his career only skyrocketed from there as he went on to direct for shows like The Office, Arrested Development, Mad Men, Weeds, Parks and Recreation, and 30 Rock, just to name a few. In 2003, Feig started to dip his toes into film as he made his directorial debut for the drama I Am David, but it was his 2011 film Bridesmaids that really put him on the map as a director in Hollywood. Since then, Feig has become well-known for his female-led movies and developing diverse characters on screen. "I love making movies with these great female characters in them because there are so few roles," he told Entertainment Weekly in 2017. While we can't get enough of his films, he'll always hold a special place in our hearts as Mr. Pool.